Around the world, carmakers, cities and whole nations are describing a new era in which we will no longer drive ourselves, but glide hands-free along electronic highways into futuristic cities. There's just one problem: Humans are still a lot smarter than even the smartest cars — and are still babysitting them every step of the way. Why it matters: Although human error accounts for many accidents on the road today, people are generally good at managing the demands of driving. To fulfill their ultimate promise of transforming how we build cities and move people and goods — saving lives in the process — autonomous vehicles will have to be even better drivers than people. "Driving is the most complex activity that most adults engage in on a regular basis," says Carnegie Mellon University's Raj Rajkumar, a pioneer in developing self-driving car technology. "Just because we do it doesn't mean we can teach computers to easily do it. It will be many more years for full automation." For humans, driving requires the brain to integrate constantly changing information from its sensory, motor and cognitive systems, all in real time. We dart our eyes between mirrors and decipher the difference between a tree's shadow on the road and a fallen branch obstructing it. We draw on our memory of the thousand previous times we took that left turn, perform calculus about how far away a red light is, and interpret another driver's gestures to decide how much to push the gas or hit the brake. Without thinking about it, humans drive differently on a university campus, on the main shopping drag nearby, and in a beach town half an hour away, said Melissa Cefkin, an anthropologist who works on autonomous driving at Nissan. "What’s needed in your brain? Everything," says Elizabeth Walshe, a cognitive neuroscientist at the Children's Hospital of Philadelphia who is using neuroimaging to try to determine how the brain combines information while people drive. "There are all of these subtasks within the task of driving and then this unpredictable environment." Humans use intuition to adapt to tiny changes in the world around them: When a ball rolls in front of our car, we intuitively scan for a child running after it. It's a crucial skill computers currently lack. Today, autonomous vehicles use a multitude of sensors — including high-definition cameras, radar, and lidar, which uses lasers to map out the surroundings — plus extremely detailed maps to approximate the way humans perceive the world as they drive. They can detect weather conditions (even though severe snow, rain and fog are still hurdles), congestion and construction. Computer systems are still learning how to complete the instantaneous connect-the-dots puzzles that our brains perform automatically. More data is paramount for deep learning, the AI technique that powers most autonomous driving today. Companies build data stores by driving millions of miles with cameras and sensors to "teach" the algorithms how to handle myriad situations. Better computers can help cars make split-second decisions. A Nvidia researcher estimated that it can take more than a thousand specialized, top-of-the-line computers just under a week to train a 125-vehicle fleet to drive — a process that repeats often as engineers experiment. Smarter algorithms will help self-driving cars avoid lapses in judgment. Deep learning can be "brittle," getting confused by a situation slightly different than what it’s used to, like a stop sign with stickers on it. So some are experimenting with combining rule-based learning with pattern-matching deep learning. The bottom line: In the past decade, the industry has gone from zero to thousands of self-driving cars on the road and real autonomy within sight. 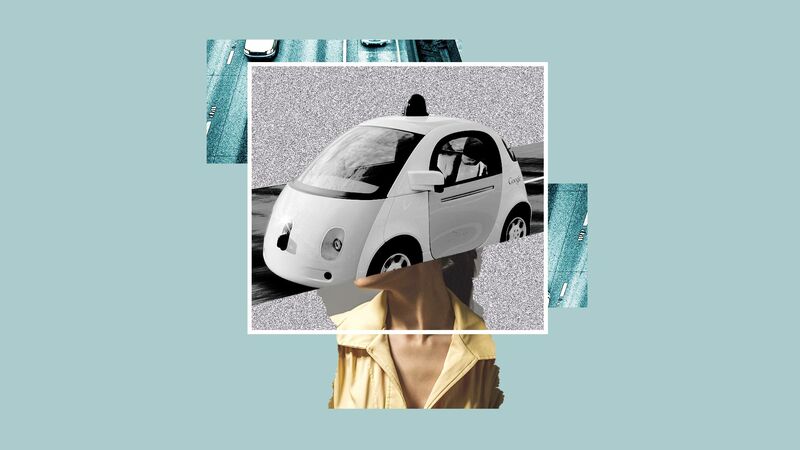 Read more stories like this in our new weekly Axios Autonomous Vehicles newsletter. Sign up here.